As we celebrate the month of Ramadan, and think about how to increase diversity and representation in the books our children are reading, this sumptuous hardback, Riding a Donkey Backwards dropped onto my doormat, and I had to share it with you. It’s a collection of 21 tales and riddles about a trickster known across Muslim culture. Mulla Nasruddin is both the wisest man and the biggest fool. Through telling some of his stories, all contained on one or two pages, Sean Taylor, the Khayaal Theatre, and Shirin Adl bring the tales to life with drama and creativity. Each tale is only a paragraph or two long – spanning one or two pages, with full double page colour collage illustrations. The text is jaunty and chatty, as befits the subject, and some tales and riddles leave a wry smile, others pose philosophical questions. Many invite critical thinking, but there are those that are just silly – on purpose. 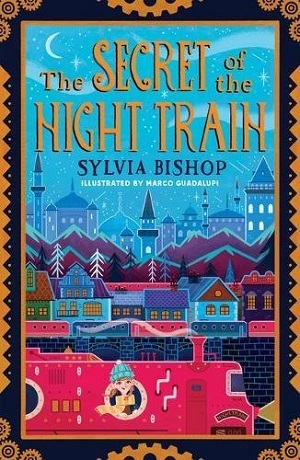 The text feels modern, but the illustrations feel traditional – set in familiar age-old landscapes, such as a school, a kitchen table, a market place. A Nice Steam Bath is illustrated to look as if it’s a wordless comic strip or an ancient scroll, and many of the collages use domestic materials such as a child might use: cotton wool beards, glass bead rivers. They are bright and welcoming, playful and intelligent. Below, Sean Taylor explains about the book. How did Riding a Donkey Backwards come about? Who exactly is Mulla Nasruddin? Why retell these Nasruddin stories? How was the book created? With thanks to Sean Taylor. You can buy Riding a Donkey Backwards here. I’m constantly bamboozled when I read a great English novel and discover that the author has named the plants that the protagonist brushes past in her garden, or the genus of trees that the antagonist climbs to launch his ambush. At my primary school we occasionally went on a ‘nature’ walk, but I gathered little more than conkers and pine cones. Now, my children can’t identify different leaves or wildflowers, they falter at nature – and this is despite having a house rich in books and traversing a field every morning to get to school (we do live in urban London though). The Lost Words helped enormously with this last year, but now, in British Science Week, (9th to 18th March), a simple picture book has caught my eye, published in Germany, translated from the French, and now on our own shores. The Golden Wonderflower introduces Fox, a botanist, who realises that there’s a picture missing in one of his botany books. No one has yet drawn this rare precious plant called the Wonderflower, so Fox sets off on a long journey to find it. Not only does Fox experience the most delightful journey, wandering through woodland – illustrated with light and dark, tall trees and a faint mist that feels so real that the reader can almost breathe the sweet air themselves, but also he recognises the plants along the way, and demonstrates his knowledge to the reader. Hence, every few pages of the story, Fox shows us the names and details of the plants – a pine leaf, tree and cone, all illustrated and labelled. A spruce, a beech, an oak and so on. There are friends too, a bear fishing (with a rod), cousin Wolf who likes his food, and a marmot who points the Fox in the right direction up the mountain. Here, Flouw illustrates the different levels of the mountainside, in a landscape that highlights the different fields of crops, and the array of trees, which subtly change shape as he traverses up the mountain. When the reader, and Fox, finally encounter the flower, the production team behind the book have done a beautiful job, for it is truly gaspworthy (using more than a little foiling – it shines). Fox knows not to pick it, for it is rare, so he sketches it instead, showing the reader the names of the different sections of a flower. 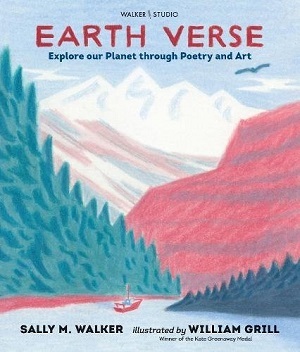 The illustrations are reminiscent of Jon Klassen in tone, although slightly more angular, and the colours reflective of the landscape – yellow, brown, green and orange hues in the woodland, blues and purples higher up the mountain, and of course, an abundance of green, particularly at Fox’s lush and verdant house. Flouw also uses colour to delineate the time of day, and it’s the sunset at the top of the mountain that’s particularly magnificent, with colour sweeping across the page giving an atmospheric peace to the spread, and using the play of shadow to enormous effect. The book aims to indicate the pleasure of a nature walk, the beauty of observing the natural world, but also points to conservation, as Fox realises how wrong it would be to pick this wonder flower. Instead he leaves it where and how it was – this is where it is most beautiful. This book, conversely, should be picked up and leafed through, time and time again. It’s a wonder itself. You can buy it here. Please note the book may be called The Golden Glow in the US. 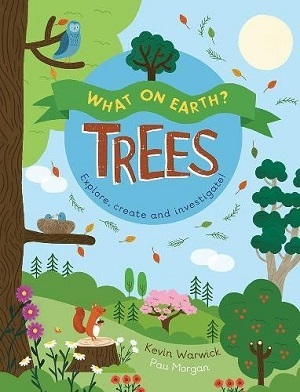 There is one key feature of nonfiction for children for which I am always on the lookout, and that’s the author’s ability to put over information in an accessible and concise way, no matter the scope or depth of that information. Then, of course that information has to be interesting, and explain the point well enough so that children understand and are hooked, but not provide so much detail that they get lost in reams of text. Those looking to emulate those skills, should seek out Meet the Ancient Romans by James Davies. A vast subject to tackle, the Ancient Roman Empire spans all elements of life and hundreds of years of history – and yet Davies has managed to compact it all into a golden nugget of information for young readers. Each book – for there is one on Ancient Egyptians too – is 64 pages, and manages to cram a huge amount into a small book, and much of that information is conveyed through explanatory and amusing illustrations. Meet the…Ancient Romans tackles everything from Roman numerals and emperors to way of life and the army, but also addresses questions a child might have if they have already heard something of the subject matter. For example, it references that the child may have heard of Caesar, and be questioning why he isn’t mentioned on the emperors’ hall of fame page – Davies then gives the answer to this – Caesar wasn’t actually an emperor. Above all, the book is highly visual. This is determined by the colour tone, which gives the reader their first impression – for Rome the book is red in tone, which implies tomatoes (for me anyway, which I associate with that part of the world, but also of course for the red pigment used in their villas, as well as the red material and paint which is associated with their god of war, Mars.) The Egyptian book is yellow – presumably for sand. But more than just the large limited colour palate, Davies’ book is highly visual because each page is dominated by cartoon-like images and vignettes of people, doing the tasks described. There is immense attention to detail in these drawings – from the mighty legions in the Rome book to the depiction of mummification in the Egypt book. This is hugely impressive, but Davies has also inserted his sense of humour into the illustrations – one Roman soldier seems to have lost his uniform for example; this is a book that entertains as well as informs. There are also comedic speech bubbles, somewhat reminiscent of Horrible Histories, although Davies’ book is for a younger audience, and is brighter, bolder and shorter! As Davies progresses the narrative through the book, he adds more and more comments to his explanations. From Roman numerals to the army, clothing and schooling, the author uses one liners or small phrases to indicate his opinion, and it feels as if his personality is growing with the book. A sense of intimacy and shared comedy is felt with the author – a lovely touch for an information book for a young audience. Each book ends with a very short and sweet timeline; in Ancient Romans, it depicts the beginning of Rome with Romulus and Remus to the end of the Roman Empire in AD 476 when Germany invaded. You can buy a copy here. The companion title, Meet the Ancient Egyptians is equally buzzing with personality and information. A fair amount of this title is spent on death and the afterlife, an obsession both of the people of the time, but also children today who are often captivated by the process of mummification, and the tombs in which the pharaohs were buried. The series feels as if it were made to last, and should be an excellent addition to all school libraries, but also a great gift for those looking to pique children’s interest in Ancient History. I’ll be looking out for further titles…hoping for Greece and Mayans….You can buy the Ancient Egyptians book here. Anthony McGowan, possibly best known for his gritty YA stories including The Knife that Killed Me and the Brock, Pike and Rook series, has published a gorgeous Christmas story for younger readers with publisher Barrington Stoke: I Killed Father Christmas. Although it may sound rather horrific from the title, this is a gentle story about the true meaning of Christmas. When Jo-Jo hears his parents arguing downstairs, he feels that it’s all his fault and that he has killed Father Christmas by asking for too many presents. To make amends, Jo-Jo feels he must try to do Santa’s job himself. Although McGowan shows Jo-Jo’s frustration here, he also incorporates much humour, and sprinkles more than a dash of Christmas magic across the pages. 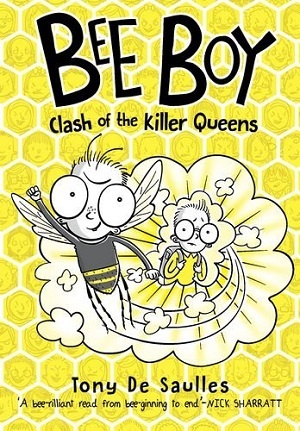 Cleverly, although the story is sweet and endearing, it does manage to incorporate the darker issues of Christmas time and families – showing how children may fear they are to blame for family arguments, as well as admitting how difficult it can be for some families to afford the excess costs at Christmas time. You’ve had huge success, and certainly critics’ acclaim for your series for Barrington Stoke: Brock, Pike and Rook. Is there something special about writing for dyslexia specialists Barrington Stoke? Before I began writing for Barrington Stoke, my books were anything but dyslexia friendly. My style is naturally rather excessive, ornate and fancy and, unless I’m restrained, I tend to show off, letting the reader know just how clever I am. My earlier books tended to grab the reader by the ears and scream into their face. I pulled out all the stops to dazzle, astound, impress, amuse, disgust. Writing for Barrington Stoke taught me that less can be more, that three simple words can do the work of a hundred complex ones, that stories are about characters undergoing trials, and emerging from them changed. And so writing for Barrington Stoke simply made me better at my job. I was quite surprised when reading I Killed Father Christmas to find out how ‘sentimental’ it was: full of hope and love. It doesn’t seem to fit with the author who writes with such grittiness and cynicism in The Art of Failing and The Knife That Killed Me for example…Is there a softer side to Anthony McGowan that isn’t normally seen? Well, it’s a Christmas story! Actually, there are quite dark elements in it – it begins with a bitter argument, and tries to hint at how families can struggle with the cost of Christmas. But, yes, the underlying (and overlying) message is that what gets us through is love and kindness. I suppose I also wanted to salvage something from the commercialisation of Christmas – trying to find a core of goodness under all the tinsel. Was Christmas a big part of your upbringing? Can you describe your perfect Christmas now? For some reason it always makes me feel a little sad. I suppose it’s a very obvious marker of the years passing, of my own aging, of my children growing. But my daughter still gets incredibly excited by Christmas, and that infects the rest of us. There are plenty of family occasions – we go to my wife’s parents on Christmas Day, then travel up to Yorkshire to see my parents on Boxing Day. The McGowans are still mad and chaotic and noisy – quite a contrast to my wife’s very decorous family! As for perfection … well, as a parent all you want is for your children to be happy. The easy route is to buy them the presents they want, but the better path is to fill the house up with as much love as you can – which is what I Killed Father Christmas is all about. Your writing is incredibly diverse – across genres and markets – do you find you prefer writing on any particular topic (cricket?) or for any particular audience? Presumably they all hold their own challenges.. I probably find it easiest to write for teenagers – those teenage years were very intense for me, and so my mind often drifts back there. 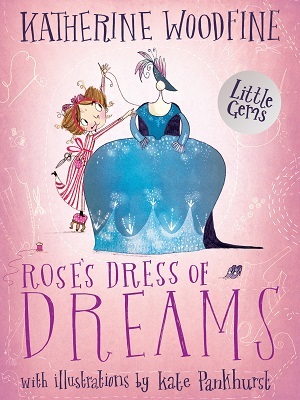 And teenager’s lives are just so full of the stuff of fiction – conflict, friendship, love, hate… But there’s a huge joy to be had in writing funny books for younger children. And yet the book I’ve probably most relished is my recent autobiographical book for adults, The Art of Failing … I guess what all this means is that what I really love is the variety, the chance to write for anyone able to read (or be read to). Do you write more than one book at the same time? And are you disciplined about your writing day? Often, yes, I’ll have a couple on the go, though that’s more due to necessity than design. I think it’s much better to finish one project before the next begins, but that’s just not possible when you’re a professional writer, having to cater for different audiences. I try to write a thousand words a day, but I’m not particularly disciplined. Almost anything can distract me, a leaf falling past my window, the noise of a road drill, the constant urge to check Facebook and Twitter. Luckily, when I get going I’m quite fast, so I can do my thousand words in a couple of hours, then spend the rest of the day loafing, or fretting, or bumbling around. What are you reading at the moment? And your favourite Christmas children’s book please? Just as I often have several books on the go as a writer, I generally find myself in the middle of several as a reader, usually a classic, something frothy, and a work of non-fiction. So, as a slightly trashy pleasure I’m reading The Stand, by Stephen King; my current classic is The Story of the Stone, an 18th century Chinese novel, by Cao Xueqin, and my non-fiction is The Silk Roads: A New History of the World, by Peter Frankopan. 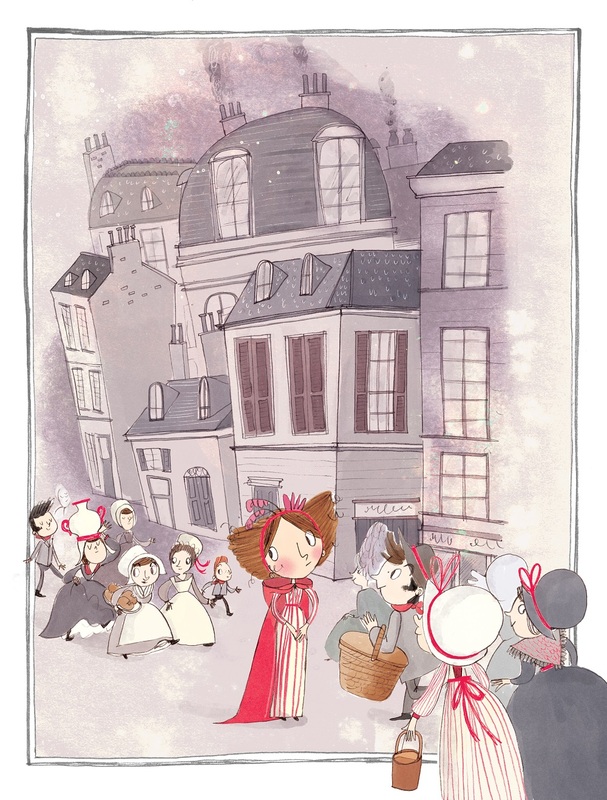 I’m not sure I have a favourite children’s Christmas story, though I do have one that makes me weep uncontrollably whenever I read it – The Little Match Girl, by Hans Christian Anderson. With thanks to Anthony McGowan for taking the time to answer my questions so fully. You can buy your own copy of I Killed Father Christmas here. Barely a day goes by without a child in the library offering me their own drawing of ‘Claude’ or asking for me to order more Claude books for the library shelves. ‘S’ with Francesca Simon’s Horrid Henry series, and Alex T Smith’s Claude books is a quickly emptying shelf of books. 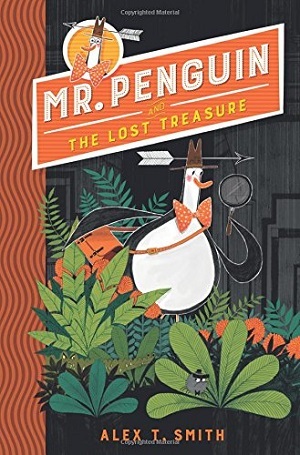 So it was with delight, and some trepidation, that I embarked on reading the first title of the new series from Alex T Smith, Mr Penguin and the Lost Treasure. Mr Penguin sets himself up as a Professional Adventurer. The only problem is that he’s been sitting at his desk, twiddling his flippers for some time. Then, a phone call comes through from Boudicca Bones, curator at the Museum of Extraordinary Objects, and Mr Penguin is needed to find some missing treasure. Together with his sidekick, Colin (a spider), and a packed lunch (very necessary), Mr Penguin sets off on a new adventure. 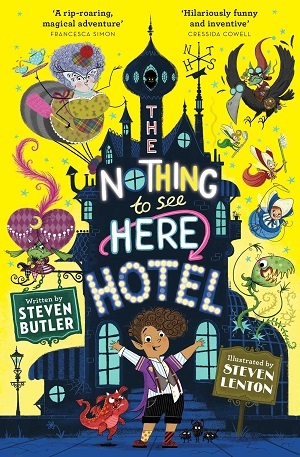 With magnifying glass, explorer hat, maps and museums, this is an old-fashioned adventure to which Alex T Smith has applied his zanily humorous style. There is comedy of the absurd in abundance, as into the plot go disguised identities, a log that turns out to be an alligator, and a spider who can’t talk but can write down his thoughts. Museums are always groovy places for hide-and-seek and treasure hunts, with their cavernous spaces and dark dingy corners with weird artefacts, but Smith goes one better here, by opening up a subterranean jungle complete with waterfalls underneath the museum floor. Thus turning Mr Penguin from an investigator into an Indiana Jones type figure. 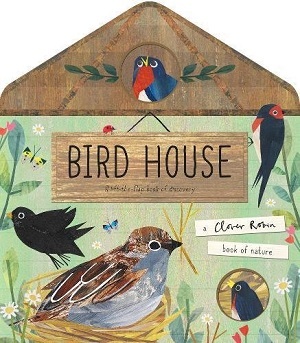 The plot moves apace, there is much humour, and of course it’s highly illustrated – this is a step up for readers of Claude, who will encounter much more text and plot here, but there are magnificent illustrations spread throughout the book. Through these, the reader can pick up visual clues to assist them in deciphering any red herrings from real clues, and the whole book is beautifully produced in a typical penguin colour – black and white with orange spot colour. 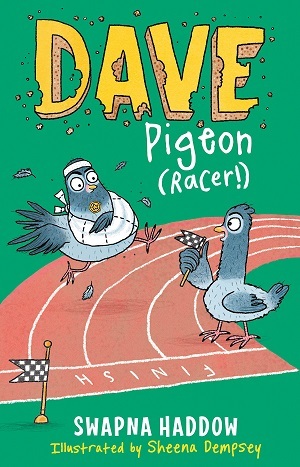 Particular highlights include an excellent vocabulary for this age group, a nod to the importance of food, huge amounts of humour, both slapstick and more subtle, and phenomenal attention to detail from the newspaper endpapers to chapter headings and page numbers. 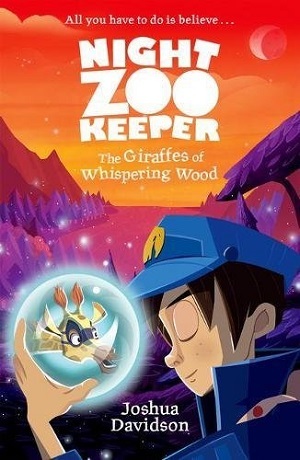 A quirky tale, well told and full of fun. I know just where to point my young readers after Claude – it’s the extraordinary adventures of Mr Penguin. May this new series run and run (or waddle and waddle). For ages 7 and up. You can buy it here.